Muhammad ibn Ahmad ibn `Uthman ibn Qaymaz ibn `Abd Allah, Shams al-Din Abu `Abd Allah al-Turkmani al-Diyarbakri al-Fariqi al-Dimashqi al-Dhahabi al-Shafi`i (Arabic: محمد بن احمد بن عثمان بن قيوم ، أبو عبد الله شمس الدين الذهبي‎), known as Al-Dhahabi (1274–1348), a Shafi'i Muhaddith and historian of Islam. Al-Dhahabi was born in Damascus in 1274 CE/673 AH, where his family had lived from the time of his grandfather `Uthman. He sometimes identified himself as Ibn al-Dhahabi (son of the goldsmith) in reference to his father's profession. He began his study of hadith at age eighteen, travelling from Damascus to Baalbek, Homs, Hama, Aleppo, Nabulus, Cairo, Alexandria, Jerusalem, Hijaz, and elsewhere, after which he returned to Damascus. It is then when he taught and authored many works and got widely famous as a perspicuous critic and expert examiner of the hadith, encyclopedic historian and biographer, and one of the foremost authority in the canonical readings of the Qur'an in his time. He studied under more than 100 women. His most important teacher at Baalbek included a woman, Zaynab bint ʿUmar b. al-Kindī. Zainab was a traditionist (musnida) in 13th century. She received permissions (ijazah) to narrate from Al-Muayid al-Tusi, Abu Ruh al-Harawi, Zainab al-Sha’riyah, Al-Qasim Ibn-al-Saaffar, Abdul-Baqa al-Uqbari, ‘Abdul-‘Adhim Bin ‘Abdal-Latif al-Sharabi and Ahmed Bin Zafar Bin Hubairah. Imam Dhahabi writes about her that "she was a righteous woman, generous, who possessed piety and (gave) charity. She built a hospice for the poor and bequeathed religious endowments." He also believes that she was "without a parallel in the time (that she lived in)" and notes that his father, his maternal uncle, and many other people in Baalbek received the tradition from her (including Abul-Hussain Al-Yunini and his children and relatives, Ibn Abil-Fath and his two sons, Al-Mizzi and his elder son, Al-Birzali, Ibn-al-Nabulusi, Abu Bakr al-Rahbi, Ibn-al-Muhandis, Ahmed Ibn-al-Duraybi"). Imam Dhahabi lost his sight two years before his death. He left three children: his eldest daughter Amat al-`Aziz and his two sons `Abd Allah and Abu Hurayra `Abd al-Rahman. The latter taught the hadith masters Ibn Nasir al-Din al-Dimashqi and Ibn Hajar, to whom he transmitted several works authored or narrated by his father. Shaykh al-Islam Taqi ad-Din Ahmad ibn Taymiyyah. Shaykh al-Islam Ibn Daqiq al-`Id, whom he identified in his youth as Abu al-Fath al-Qushayri, later as Ibn Wahb. Jamal al-Din Abu al-Ma`ali Muhammad ibn `Ali al-Ansari al-Zamalkani al-Dimashqi al-Shafi`i (d. 727), whom he called "Qadi al-Qudat, the Paragon of Islam, the standard-bearer of the Sunna, my shaykh". Dhahabi authored nearly a hundred works, some of them are of considerable size and volume. His work regarding the practice of prophetic medicine was straightforward in its presentation, but also categorized by the author as alternative medicine. Tarikh al-Islam al-kabir. (Major History of Islam); Ibn Hajar received it from Abu Hurayra ibn al-Dhahabi. Siyar a'lam al-nubala'. (The Lives of Noble Figures), 23 volumes, a unique encyclopedia of biographical history. Tadhhib Tahdhib al-Kamal, an abridgement of al-Mizzi's abridgement of al-Maqdisee's Al-Kamal fi Asma' al-Rijal, a compendium of historical biographies for hadith narrators cited in theSix major Hadith collections. Al-Kashif fi Ma`rifa Man Lahu Riwaya fi al-Kutub al-Sitta, an abridgment of the Tadhhib. Al-Mujarrad fi Asma' Rijal al-Kutub al-Sitta, an abridgment of the Kashif. 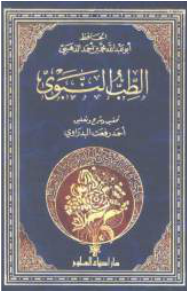 Mukhtasar Kitab al-Wahm wa al-Iham li Ibn al-Qattan. Mukhtasar Sunan al-Bayhaqi, an abridgement of Bayhaqi's Sunan al-Kubara. Mukhtasar al-Mustadrak li al-Hakim, an abdridgement of Hakim's Al-Mustadrak alaa al-Sahihain. Al-Amsar Dhawat al-Athar (Cities Rich in Historical Relics), which begins with the description of Madina al-Munawwara. Al-Tajrid fi Asma' al-Sahaba, a dictionary of the Companions. Tadhkirat al-huffaz. (The Memorial of the Hadith Masters), a chronological history of the biography of hadith masters. Ibn Hajar received it from Abu Hurayra ibn al-Dhahabi. Al-Mu`in fi Tabaqat al-Muhaddithin, a compendium of hadith scholars (Muhaddithin). Tabaqat al-Qurra (Biography-Layers of the Qur'anic Scholars). Duwal al-Islam (The Islamic Nations), a condensed history with emphasis on political figures and events.